Farm leaders have demanded an orderly Brexit by Wednesday next week and repeated warnings over the devastating impact a no-deal Brexit would have on the sector. 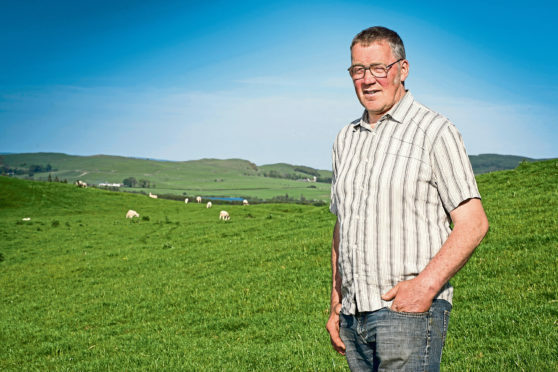 The UK Farming Roundtable, which comprises representatives from farming organisations including NFU Scotland, has written to all MPs urging them to unite around a single option for Brexit by the end of Wednesday, April 3. In the event of this not happening, they say the UK Government must request a further extension to the Article 50 negotiations. The letter states: “We are intensely frustrated at the continuing impasse over the UK’s departure from the EU and urge you to take whatever steps are necessary, right now, to ensure the UK does not leave without a deal in the coming days. The roundtable said the farming sector had consistently warned MPs of the severe consequences of a no-deal on not only the agricultural and horticultural sectors, but also on food supply in the UK and how the farmed environment is managed. “To this end, if parliament has failed to coalesce around a single and clear option for an orderly departure from the EU by the end of the day on Wednesday April 3, Government must request an extension from the EU27 to the Article 50 negotiations,” continued the letter. The farm leaders said an extension of just a matter of weeks would not be acceptable. They added: “ It is unacceptable for farming – and for wider British businesses – to be in a perpetual state of uncertainty with no clear idea of the trading conditions they could be operating under in just a matter of days. “This extreme uncertainty is already having real-world impacts on British farming and food production, with investments being put on hold, critical jobs remaining unfilled and farm-gate prices facing increasing downward pressure.